If you follow me on Instagram, you may have seen that I mentioned we are making over the kiddo’s room (with the help of Wayfair.com). We are JUST about done and I can’t wait to share the whole thing with you, but for now you’ll just have to live with this small sneak peak. 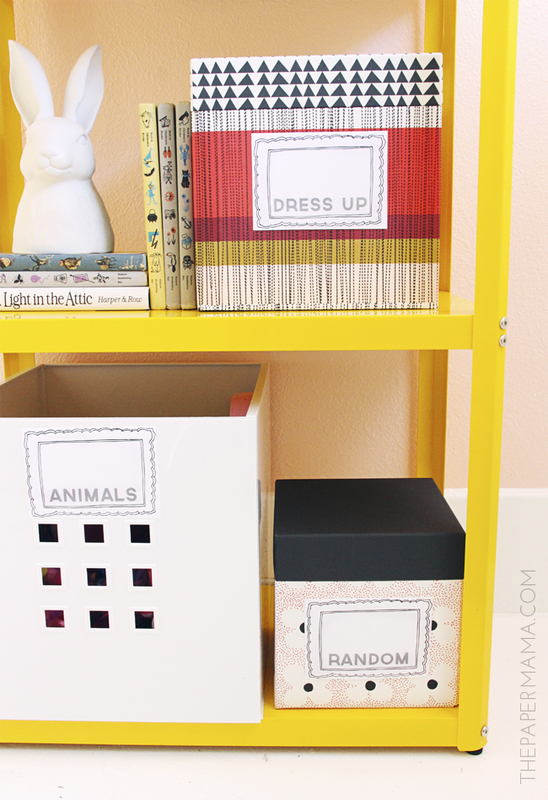 To organize the kid’s toys, I thought we should add some labels to her toy bins. It will help us keep the toys organized, and hopefully help the kiddo clean up her toys. Side note: we won’t be keeping that lovely ceramic rabbit in her room… she just really wanted it in the photo. 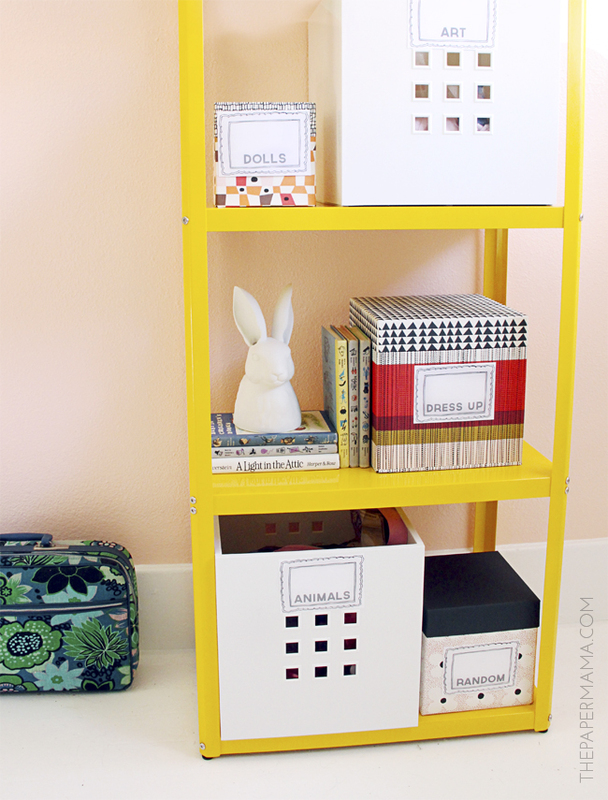 To check out the full post, plus get the free toy bin printables, head on over to this Better Homes and Gardens post. P.S. I’m a paid contributor on the Better Homes and Gardens blog. This is the 4th year for my 50 DIY Days. If you would like to check out the past projects, you can click on these links (sorry for any broken links, it’s hard to keep up to date with all the posts… always a work in progress): 2011 // 2012 // 2013!